I need your help. Our firm is conducting a survey to determine how members of our community plan for one of the hardest events a family faces…the death of a loved one. The questions that follow are designed to help us understand what people want and need at this most difficult time.Your answers will help us improve our service by understanding what is most important to you. Please take a moment and fill out the 15-question survey below; as a token of our appreciation, we will send you a free Funeral Planning Guide. Thank you so much for taking the time to complete this survey. We appreciate your assistance. 2. In the event of a death in the family, what would influence your choice of a funeral home? 3. Have you ever had to make funeral arrangements for a loved one? 4. Which of the following would you choose for yourself? 5. Whether choosing burial or cremation, which of the following funeral services would you choose for yourself? 6. Do you have up-to-date biographical information and accurate records to help a loved one with your estate, funeral or cremation planning? 7. 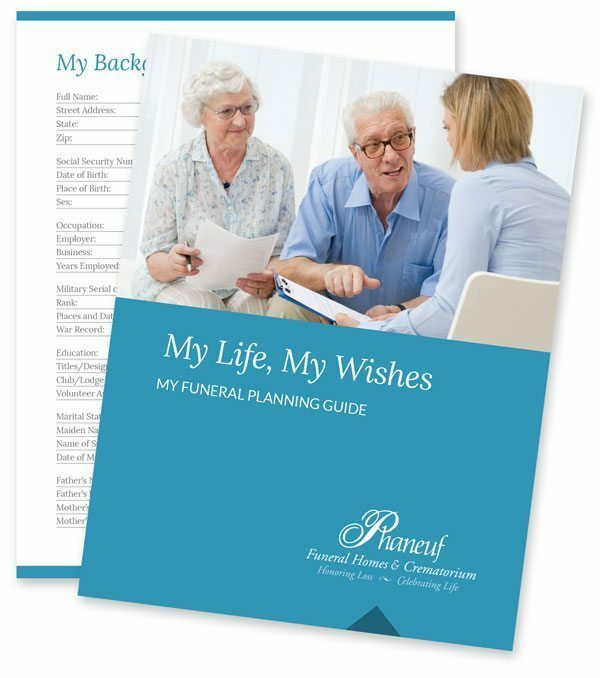 In the event of your death, who is responsible for making your funeral arrangements? 8. Does this person know what type of final arrangements you prefer? 9. Are you aware that you can arrange and pay for final arrangements in advance of need? 10. Is there a military veteran in your household? 11. How much might you expect to pay for your final arrangements? 12. If you have not made advance arrangements, how will your family most likely expect to pay for your final expenses? Guarantee your final wishes will be fulfilled? Create a payment plan to meet your budget? Protect your savings from Medicaid? Lock in your services at today’s lower prices? 14. If your loved ones would have to plan your funeral tomorrow, what would concern you the most? Thank you for your help. Please share your name, address and phone so we can provide you a complimentary gift...a Funeral Planning Guide as our way of saying thank you for completing our survey. We will contact you with any of the other information that you requested and to answer any questions.